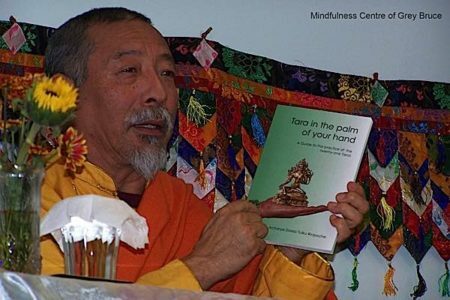 Venerable Zasep Rinpoche teaching at a Tara weekend using the commentary book, Tara in the Palm of Your Hand, as a reference. Relax, sit straight, half close your eyes, and listen to H.E. 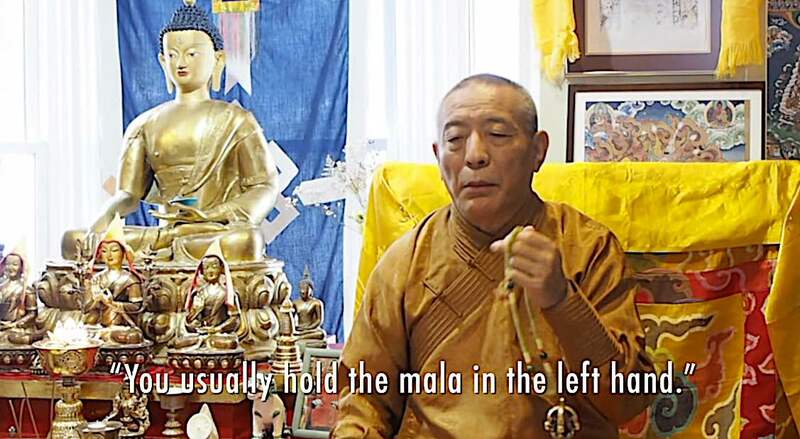 Venerable Zasep Rinpoche guide you through visualizing Tara and chanting her mantra. Then, chant along with Yoko Dharma’s amazing voice at the end of the meditation — with yet more beautiful meditational images. [Full transcript of the teaching below the video.] 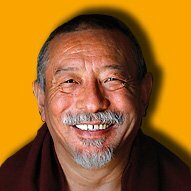 Venerable Zasep Tulku Rinpoche has taught in the West for 40 years and is spiritual head of Gaden for the West centres in Canada, U.S. and Australia. Today I’m speaking about Tara practice visualization, healing practice, and recitation of the mantra of Tara. Tara is the liberator. Tara means, Tibetan word is Drolma. So there’s a different ways of practicing Tara Sadhana. Those of you have not received Tara initiation, you can visualize Tara in front of you, and then visualize Seed syllables, mantras, and lights, and you recite the mantra of Tara for the purpose of receiving blessings, and inspirations, and healing, and then, at the end, Tara dissolving into you. Those of you have received Tara initiations, then you can visualize yourselves as a Tara. I will explain Tara visualization and practice for those of you have not received Tara initiations. So you first sit on a meditation cushion comfortably, relax your body, and try to have a calm abiding mind. If your mind is not very calm, and if your mind is not settled, then you could do mindfulness of breathing meditation for five minutes. Breathe in and breathe out, breathe in slowly for long one, breath out slowly, a long one. This way it will relax your body and mind. Then, you visualize Tara in front of you, not too high, not too low, about the same level as your forehead, about five feet in front of you, and imagine a beautiful blue sky. In this sky you imagine, instantly, a green Tam syllable appeared. T-A-M, English letter, T-A-M you visualize. 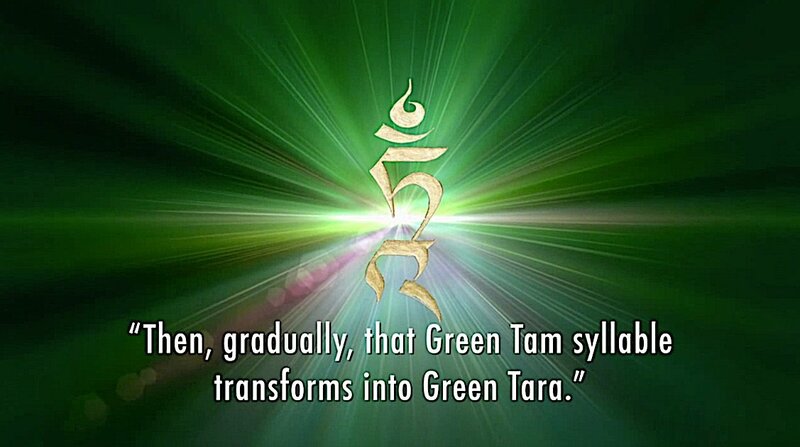 If you know how to visualize Tibetan syllable Tam, green one, that would be good, otherwise the English letter is fine. Visualize Tam syllable, green one, and a very beautiful Tam syllable with a nature of light and energy. And then, after you visualize this tam syllable, and then imagine beautiful green light emanating from the Tam syllable. 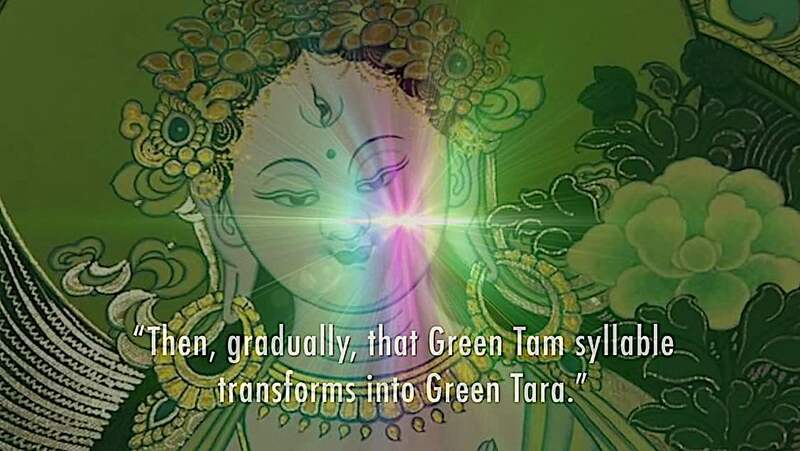 Then gradually, the Tam syllable transform into Green Tara. So now you have a Green Tara appeared, and she is sitting on the lotus and moon cushion, a beautiful lotus cushion. 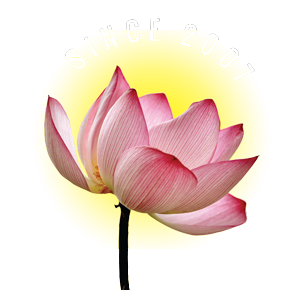 In other words, the cushion is made with lotus petals. Pink and white petals. And on the top of this lotus cushion, you visualize white moon disc horizontal. Then on top of this moon disc, visualize a green Tam letter again. A beautiful green Tam letter appeared spontaneously, you visualize. 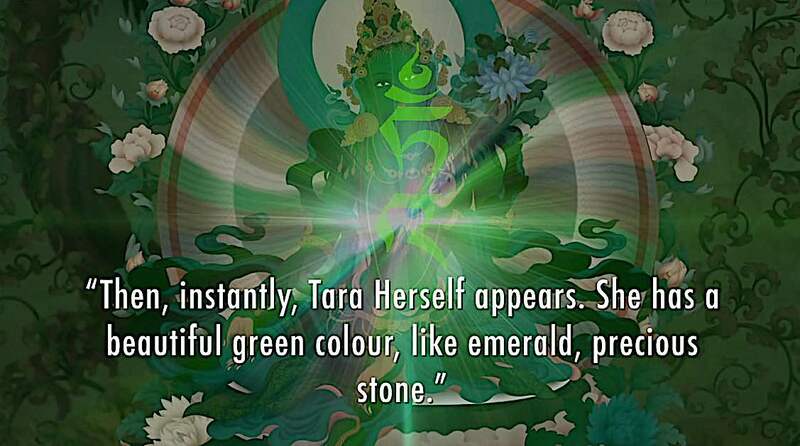 And then light emanating from that green Tam syllable, more light emanating, and then instantly Tara herself appeared. And she had a beautiful green color like the color of emerald, precious stone. And she has one face, two hands, she’s sitting on the lotus and moon cushion. Her right foot is stretched, and left foot is bent, and in her hands she’s holding blue utpala flowers. Right hand is on the top of the right knee holding blue utpala flower with the petals open, and she’s holding the trunk of the utpala flower. Left hand she’s holding also the trunk of the utpala flower, and the petals open on your left side of the shoulder. And her fingers in the mudra representing the left hand is in the mudra of representing Buddhas of the three times. What that means is that Tara herself, embodiment of the Buddhas of the past, present, and future. So here’s three fingers up, that symbolizes she herself representing the three Buddhas of the three times. And then her thumb is meeting with the ring finger. This is symbol of meeting … How should you say … Meeting or merging of the two truths. Ultimate truth — and conventional truth. And also this symbolize love and compassion, and so forth. So there’s different ways of interpreting these mudras. They’re not always fixed, there different ways you can explain. Her right hand is in a mudra of giving blessings, and giving realizations. She’s wearing beautiful silk dresses, upper garments and lower garments. She’s wearing her beautiful jewel ornaments, crown ornament, earrings, and necklaces, and bracelets, and so forth. She has long hair with a top knot, rest of hair hanging loose behind her body. And also when you visualize, you imagine the deities divine body is always pure, always perfect, and transparent. A nature of clear light and bliss, and not solid material body. So now you visualize Tara in front of you. Then you visualize a small moon disc at Tara’s heart. In the middle of the moon disc you visualize Tam syllable standing upright at her heart. Now when I say her heart, means actually right in the middle of her chest between the two breasts. In middle, small moon disc. Then visualize green Tam syllable standing upright. And this green tam syllable is surrounded by ten syllable Tara mantra, Om Tā re Tu ttā re Tu re Svā hā, ten syllables. These ten syllables standing clockwise, not counter clockwise. Some people think well it should be counterclockwise because it’s mother tantra, so forth. No, according to Tara teaching, it said that it should be clockwise. The mantra is also green. And there also nature of light and energy, and also each syllable’s producing the sound of each syllable or the sound of the mantra producing self-sounding, Om Tā re Tu ttā re Tu re Svā hā. Self-sounding. Maybe you can hear the sound. This is a Holy sound, and divine sound of Tara mantra. So now, it’s lot for some people who are new with Tibetan Buddhism and visualization, maybe a little bit complicated, but you have to try. We have to try, and we have to practice patience and perseverance. And then slowly, slowly it will happen. Nothing is easy, nothing is fast or instant, it isn’t how it work. You need to put great deal of effort and patience. And now, when you start reciting the mantra, Om Tā re Tu ttā re Tu re Svā hā, you recite the mantra. When you reciting the mantra, you can also use beads, the mala, and you can use any kind of mala you like. And so you usually hold the mala in the left hand in case of mother tantra, or you can hold in right hand no problem. So if you have mala, if you like to use mala, then it is good. And holding mala is good, it feels good, and it helps to connect yourself, your heart, to the mantra. And at this point if you don’t have mala, that’s okay. You recite the mantra, you say Om Tā re Tu ttā re Tu re Svā hā, and when you recite the mantra, you don’t recite too fast because you might miss one or two syllables. And when you recite too fast, you can’t pronounce the syllables. If you recite too slow, then your mind may start wandering. You may not be able to focus your mind onto the mantra, or onto the deity. That’s why you don’t say too slow or too fast, not too loud and not too quiet. Just quiet enough that you can hear Om Tā re Tu ttā re Tu re Svā hā. So now, I like to explain a little a brief meaning of the mantra. Most mantras always begin with om syllable, AUM (OM). And the mantra ends with syllable Soha [sk. Svaha] or PET (pronounced Pay) and so on. Now here AUM, AUM is one syllable constructed three letters together. Au, oo, and ma. Au, oo, ma. Three. Put together you say AUM (OM). Instead of saying slowly, au, oo, ma, saying OM. 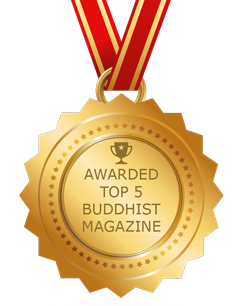 Au represents the divine body of all the Buddhas, and oo represents the speech of all the Buddhas, and ma represents the like mind of all the Buddhas. 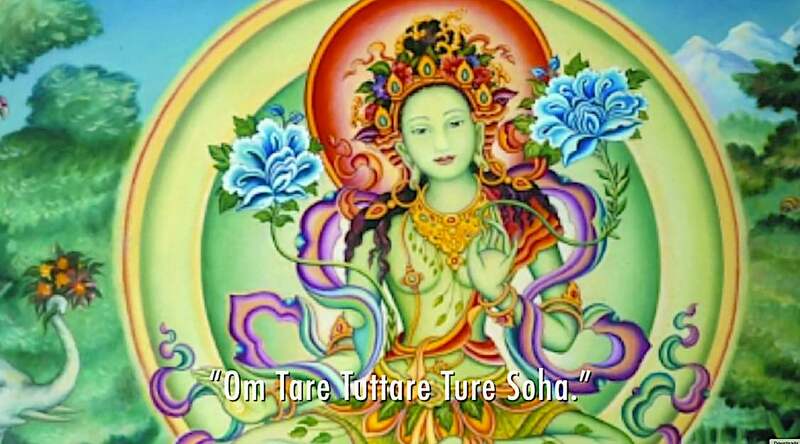 So in this case when you say Om Tare Tuttare Ture Soha, Om is representing the divine body, speech, and mind of Tara. So you’re invoking the divine blessings of the body, speech, and mind of Tara. Om Tare Tuttare Ture Soha. First when you say Om Tare, it’s liberating our temporary sufferings, physical sufferings, mental suffering, pain, aches, so on and so forth. And mental stress, anxiety, fear, and so forth. Liberating, freeing, Om Tare. Okay, second one, Tuttare. Tuttare mean to purify the causes of suffering. There are many causes, right. External causes like chemicals, all kinds of problems in the world, in our environmental problems and so on, social problems, all kinds of external problems right. And also internal problems such as stress and disease, and cause of suffering. So Tuttare, to remove and to release, and liberate from those temporary causes. Om Tare Tuttare. Ture Soha, the last part, is liberating ourselves completely from cause of suffering, cause of samsara, cycling existence, liberating, freeing ourselves from mental defilement such as ignorance, anger, attachment, and all the different kinds of delusions, and also freeing ourselves from karma, and then to obey enlightenment of Tara. So this brief meaning of Om Tare Tuttare Ture Soha. But also on top of that, as I said before, in your invoking and blessing, bringing the blessings of Tara’s divine body, speech and mind. OM Tare Tuttare Ture Soha. Soha means to establish these realizations and blessings within my own body, speech, and mind. Okay, this is the brief explanation on how to visualization Tara in front of you, those who don’t have initiation. Now I’m going to explain a little bit how to visualize Tara for those of you who have received initiation before. So now, first you do is meditate on emptiness. You say the Sanskrit term, Om Svabhava Shuddha Sarva Dharma Svabhava Shuddho Ham. [This means we ] do not have inherent nature, and never had in the past. Everything is empty of inherent existence. And that means including my own consciousness, my own being as a person, everything is inherently void. So this point, you imagine your ordinary body form, feeling, perceptions, mental condition, and consciousness, are all dissolved into voidness, into Sunyata. This ordinary body dissolves. Now instead of this body, you imagine first a syllable Pam appeares [Pam is syllable for Padma, which is lotus). Pam transforms into lotus cushion. On top of this Pam syllable then white letter Ah. Ah transforms into moon cushion. Then on top of the moon cushion, you imagine green Tam syllable appear [Tara’s seed syllable]. And imagine this green Tam syllable is your essence of your own consciousness. Then green light emanating from this Tam syllable, much light emanating, and then gradually you yourself appear as a Green Tara. So what you have here is Tara, you are Tara. You are enlightened one. You are here for the sake of all sentient beings. You are doing healing practice, visualization of Tara for the benefit of all sentient being. So now, again, if you are a beginner, it’s a little bit difficult to visualize all these details I’m explaining, but what do when you don’t see all these images of yourself, my guru said to me, “If you can’t see yourself as a Tara, that’s okay. You just say to yourself, ‘I am a Tara. There’s a Tara in me. In my heart also I am Tara,’ and you have to trust yourself, you have to say to yourself, ‘I am Tara,’ then you can have it, because everything is your mind. Everything is mind. Everything is mental projection. So, visualize yourself as your Tara. Then again, visualize moon disc at your heart, and then visualize tam syllable in the middle, then visualize the mantra around the tam at your heart. So this time now, self-healing. What you do is, you imagine light shining from the Tam syllable from your heart, and light goes up to your crown, down to the bottom of your feet, all over your body, everywhere. Your entire body filled with green light, the divine light, the blessing of Tara. Imagine your entire body is purified, and healed, and transformed again yourself as a Tara. More like confirming yourself as a Tara. This is how you visualize yourself a Tara, and do the healing of yourself, then you say the mantra again. So you say the mantra minimum 21 times each time, because 21 reciting the mantra represents the 21 Taras. Okay, 21 is three times seven right. So seven is a magic number, and auspicious number, you say three time, it is more powerful. You say the mantra. Now what about healing for other people? Yes, there’s endless healings. We have so many healing modalities, and I can speak about healing of Tara for weeks and weeks, different modalities, different level of Tara practice, like Green Tara, White Tara, Red Tara, Yellow Tara, and the Chittimani Tara, one of the highest Taras, and so forth. But we have to go step-by-step. So here’s the simple, healing practice for others. So you visualize Tam syllable at your heart, and the ten syllable mantra at your heart, and emanate green light from your heart. Light goes out to all sentient beings, especially someone that you know that he or she is suffering and going through lots of difficult times, physically and mentally. Then you imagine that person the way that person is, you send a light from your heart, from the Tam syllable, the green light. And the light goes to that person, reaching that person, this light gives peace, gives comfort, gives support, gives encouragement, and imagine that person feels very calm and peaceful, very nourishing spiritually in his or her heart. Feel very grateful. And you keep sending the light and say the mantra. This will be very helpful, beneficial. I think that’s all for now. Thank you very much.